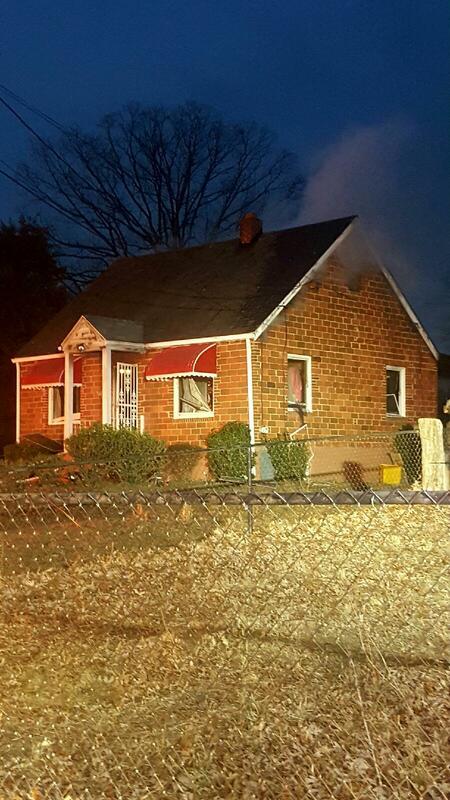 Prince George’s County Firefighters rescued two occupants out of a burning Clinton home this morning. 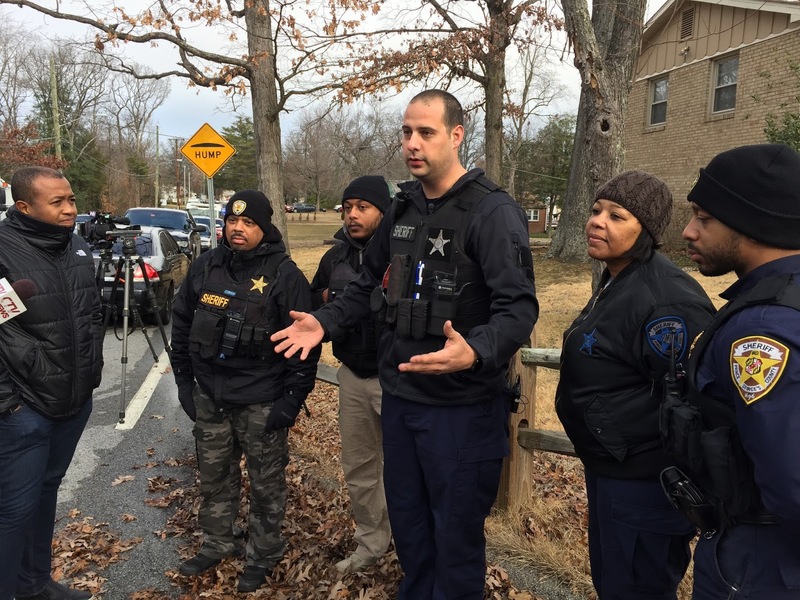 The time critical rescue was made possible, in part, by a phone app “Pulse Point," an alert Prince George’s County Sheriff and quick actions of firefighter/medics. 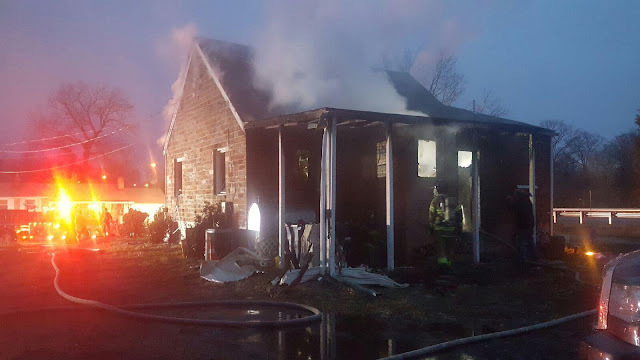 Just before 6:30 am, Friday, February 3, a motorist travelling South Bound on Branch Avenue, Maryland Route 5, witnessed a house on fire in a community that is adjacent to the highway. The neighborhood can be seen, however, is not accessible from the highway. When asked by a 911 call taker what the location of the house fire was the motorist stated Branch Avenue and Woodyard Road in Clinton, which is the closest intersection the motorist was familiar with. Public Safety Communications dispatched firefighters to the reported located of Branch Avenue and Woodyard Road for a house fire. Simultaneously a smart phone app “Pulse Point” alerted subscribers of the incident. Prince George's County Office of the Sheriff Corporal Thomas Russell subscribes to Pulse Point, read the data, and being only a block away from the reported location headed in that direction. Russell arrived at the reported location and quickly realized that firefighters were headed in a direction that would not allow them access and delay their arrival to the actual scene. Cpl. Russell, whom is also a volunteer firefighter, quickly radioed to dispatchers the correct location of the incident, the 7200 block of Milligan Road, which provided responding firefighters time to re-route to the correct location. This action alone saved valuable minutes in firefighters quick arrival at the correct location and rescue of two trapped occupants. After providing firefighters with the correct location Russell and members of his law enforcement team responded to the location. Russell arrived prior to firefighters and saw fire showing from the rear of the house and no one outside, however, vehicles in the driveway. Again, using his radio he told dispatchers that there was a possibility of occupants trapped in the house. Cpl. Russell tried the front door and it was locked. Knowing that opening the front door prior to the firefighters arrival could make the situation go from bad to worse he remained ready to force open the door once firefighters arrived. Within minutes Firefighters arrived and at that point Russell forced entry allowing firefighters immediate access to the interior. Upon entry firefighters found a fire consuming the rear portion of the 1-story Cape Cod and upon search of the interior found two young adults, both unconscious. The male was located first and brought outside where firefighters quickly treated and transported him to a nearby hospital for smoke inhalation. The female was found shortly after and brought to the outside. Medics found her to be have no pulse and not breathing. Advanced life support measures were initiated and she also was transported to a nearby hospital for smoke inhalation and burn injuries. Both occupants were in critical condition. The fire was quickly extinguished. Fire Investigators are conducting their investigation into the cause and origin of the fire. A working smoke alarm was found on the first floor. No firefighter injuries were reported. The female patient regained a pulse and along with the male patient were stabilized and transferred to another hospital for treatment and smoke and burn injuries. They are listed in Critical/Stable condition. The Pulse Point mobile app alerts CPR-trained citizens of cardiac events in their vicinity so they may administer aid. The app also notifies users of the closest available Automated External Defibrillator (AED). Early application of bystander CPR and rapid defibrillation from an AED have proven to be crucial in improving a person’s chance of surviving SCA. PulsePoint is not limited to emergency responders or those with official CPR certification. It can be used by anyone who has been trained in CPR. Added features of the PulsePoint app is the notification to subscribers of reported traffic crashes, structure fires and other subscriber designated incidents. The app also allows you to turn on a feature that allows the subscriber to listen to radio broadcast of the incident. The app is free and everyone is encouraged to take advantage of its use. 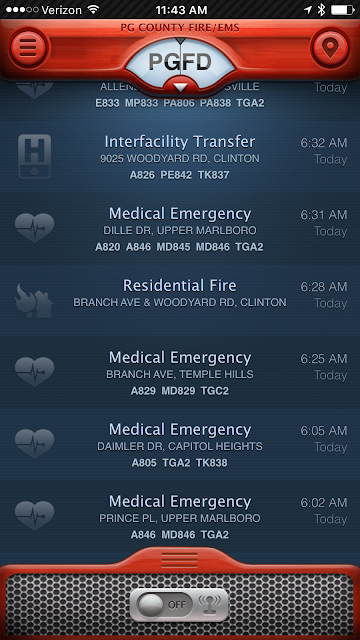 This morning, the PulsePoint app, without question, helped firefighters rescue two people from a burning house. A Hollywood, California Production Company is currently riding along with Prince George’s County Fire/EMS Department units and incident commanders. David Furtado is the owner of the company and was working this morning as a videographer. He arrived on location with an incident commander and captured video of the second rescue with firefighters carrying the female occupant out of the house, administration of CPR and transport from the scene. Additional stories about this incident and other stories about the Fire/EMS Department can be found at TheBattalion.TV.